Jessie Hearts NYC was such a fun book to read. I adore books set in NYC anyway, but the way in which Keris creates such a romantic atmosphere within the pages of her book with the many references to some of my favourite rom-coms such as When Harry Met Sally and Sleepless in Seattle plus the many, many almost-meetings between Jessie and Finn made my heart beat quicker in anticipation! Because New York City IS a big place, how on earth are two people meant to meet and fall in love? Jessie Hearts NYC is written in a dual-perspective. 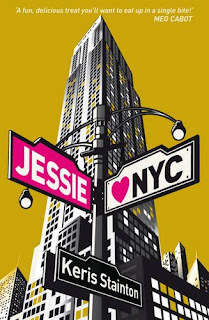 There's Jessie, teenager from England who arrived in New York with her best friend in tow, prepared to live with her mom for the summer holidays. Jessie's hoping that this trip will cure her of any leftover ickiness of her ex-boyfriend. Perhaps the perfect somebody to help her get over him is the yummy Ben that works in the play Jessie's mum wrote. And there's also Finn, who at the same time as juggling the guilt he feels for fancying his best friend's girlfriend, he must also decide if he really wants to head down the career path his father has laid out for him. I love all of the characters in this book so much! Jessie is such a breath of fresh air, she has so much enthusiasm for New York City, to see all the sights and to make the most of her experience there. 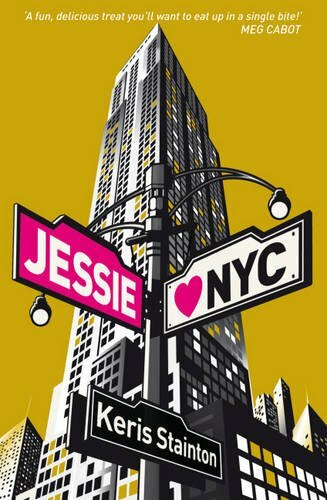 It really, truly makes me want to visit NYC again and do a Jessie tour, follow in her footsteps and see the city the way that she saw it. I'd like to visit the Empire State Building again and look at it from an architectural point of view, like Finn's. I'd just love to see the city again, from a new perspective. And I adored the friendships that Jessie and Finn have. Their two best friends, Emma and Scott are wonderful. Supportive and comfortable with each other, I'd really love to have such a close friend like these two when things start going wrong. I think this book has a very realistic outlook on crushes and relationships, but it takes a bit of time for all of the characters to reach that place, and an excellent best friend like Emma and Scott are perfect in these roles. Also, part of the reason that I loved Jessie Hearts NYC so much is, for me, how close to home things started getting with the tenuous relationship that Jessie has with her distant mother. I thought it was an interesting aspect of the storyline and there are so many things that have been left unspoken between the two, resentments and bitterness that Jessie has been holding onto. It really touched something inside of me. The characters, the setting, how romantic it is, the relationships - everything about this book very real to me and I finished it with a huge smile on my face! Jessie and Finn are pretty high on the adorable factor - Jessie Hearts NYC by Keris Stainton is so sweet and romantic, it really is a book not to miss! Aw, this sounds like a really cute read! I've been looking for something like this, thanks for the great review. I love the cover as well, very sweet! I'm really excited for this as I love Della Says: OMG!. Thanks for the great review! 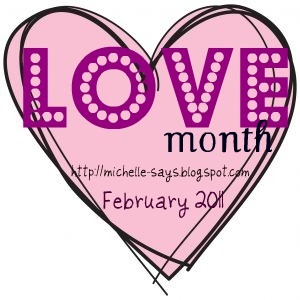 Did you see that Keris is giving away proofs of this on her blog? I entered yesterday and I am keeping my fingers crossed that I might win one. What a great review. And lucky, lucky you for being able to read the book so early! I'm so jealous you were able to read this so early on! :) I loved 'Della Says' and I can't wait to read this on, too. I adore Keris so I'm very excited about this book. Can't believe we have to wait until June for it, though! Sounds like a really fun read, must keep an eye out for this one. Zoe - thank you :) It's a marvellous book. Liz - It IS quite cute :) And I adore that cover, really stands out. Rebecca - I know, right? :) I am indeed very lucky! Luisa - Thank you :) And yes, Hurray!